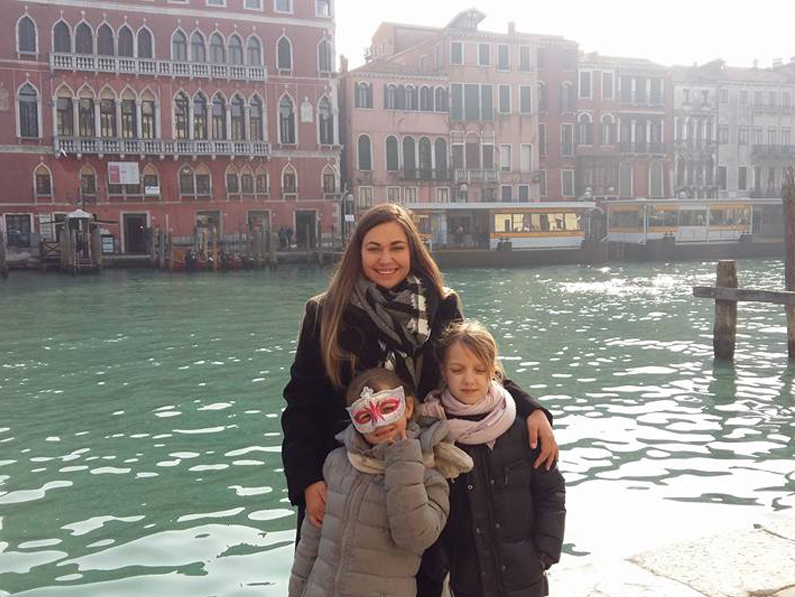 As an Au Pair you will take part in the everyday life of an Italian family. 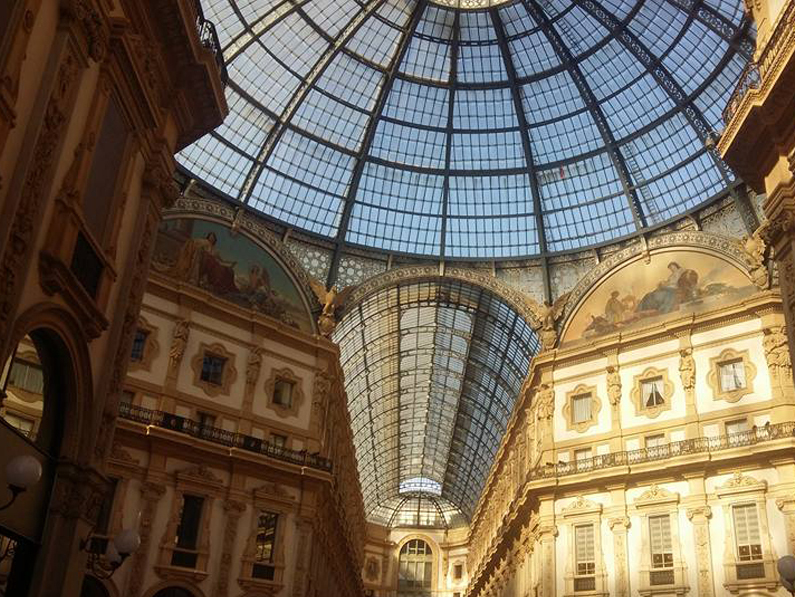 Italy has an incredible quantity of opportunities to offer: art cities, high mountains, lakes, and a beautiful coastline. The transportation system however, is highly developed and Italy is a small country, so everything is very close. The family unit is very important in Italy. Families are generally with two or three children. An Au Pair is a ‘big sister’ who lives in Italy as an extended member of their Host Family. 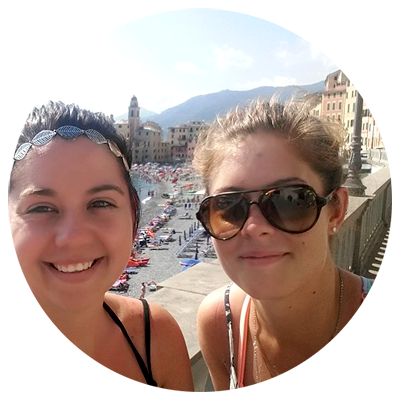 These young women provide child care services in exchange for room, board, a weekly stipend, and contributions towards an Italian language course. 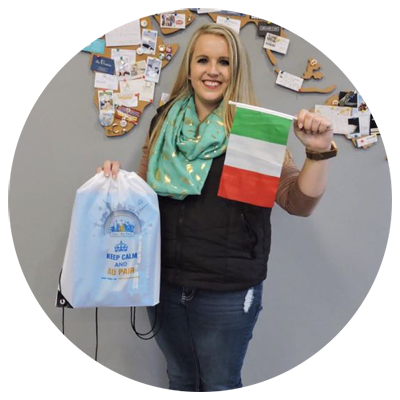 Most Au Pairs participate in the Au Pair Program for the valuable cultural experience of living with an Italian family and are treated more as a member of the family than an employee. 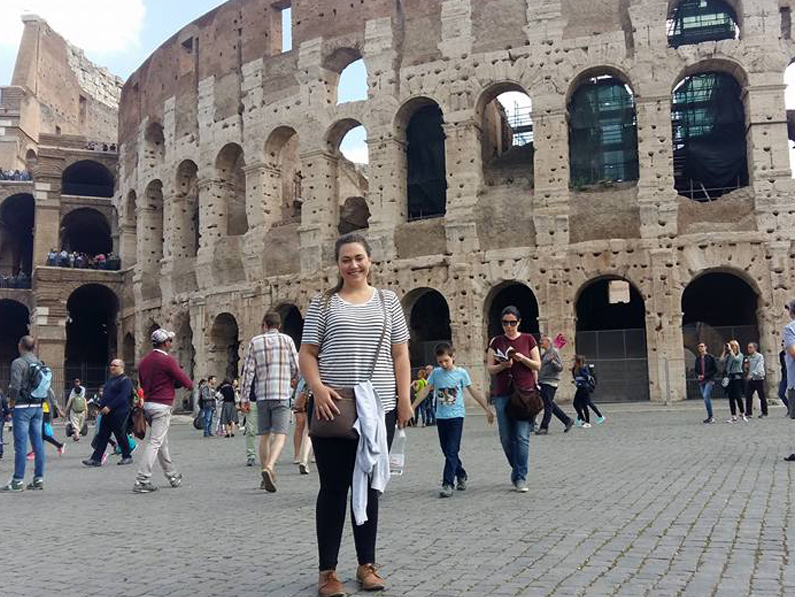 Here’s Melissa Möller’s story about her experience in Italy! 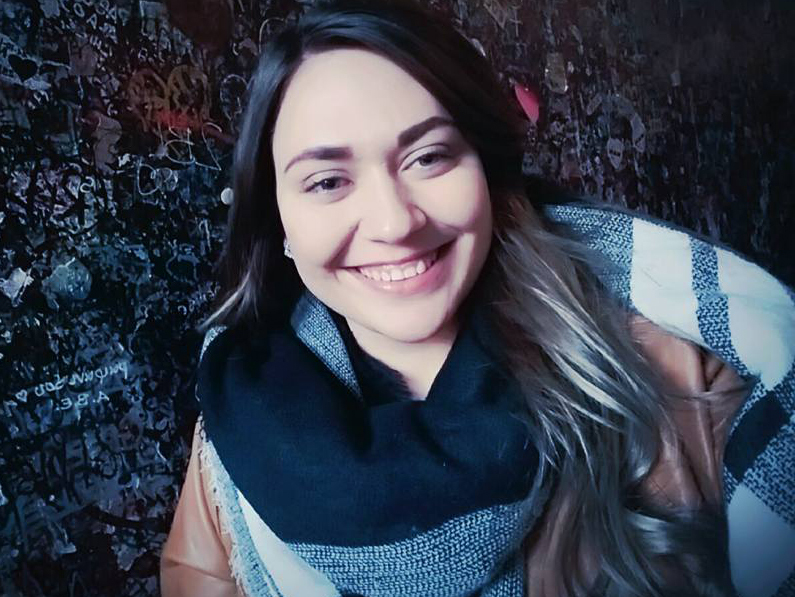 Hi, My name is Melissa Möller. I’m 21 years old and from January 2017 till April 2017 I Au Paired in Italy. I lived in a small town called Oderzo. I lived with a family of 4 and was welcomed into the family with open arms. Three months sounds long, but it goes by in a flash. I had the best experience and journey. I met new people and made lots of friends. I learned the Italian way. I’ve never had that much pizza and pasta in my life. The reality is you are going to miss home and everyone you left behind, but there is so much to do that you really don’t think about it. Let’s face it with social media everybody is a skype call away. I can say with all the joy in my heart that I had the best experience ever. Yes, it gets hard, but you learn to speak your mind, learn independence. I’ve learned so much about myself and what I like. I have grown more in the last 3 months than I have in the last year. Rome, Verona, Venice, Treviso, Milan…. This is just some of the places I saw. I lived about 40 minutes away from Venice and visited a lot. There is nothing like seeing the Coliseum and the Vatican for the first time. 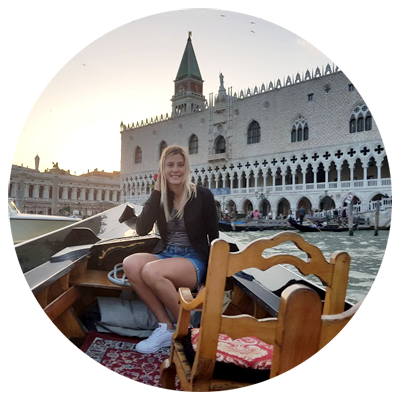 That amazing feeling when taking a water taxi on the grand Canal in Venice or visiting Juliette house in Verona. You will never feel smaller standing at the foot of the Duomo or feel bigger when standing on its roof. This is my small story about my wonderful journey in Italy. Hope you enjoy yours. I sure did. You must be 18-30 years old. Have a driver’s license. Some families may consider a non-driver, but it may take longer to get placement. Agree to commit for 3 months. After you’ve filled in all the forms and have all your documents ready, you need email everything to us. The sign up fee for the interview & registration is then due. We will then process your documents and send it to our Italian partner. Once your profile is in Italy, you will be contacted by families who wish to match with you. You will have telephonic or Skype interviews and can decide which family you’d like to go to. It can take a few weeks, even months to match. Once you’ve matched with your host family the placement fee is due. We will then help you with your visa application. Bear in mind that you will need to show 3 months bank statements proving enough funds to qualify for the visa – usually a card linked to your parent’s account does the trick! 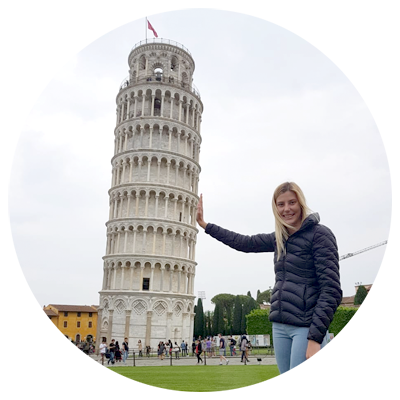 After you received your visa & health insurance, you can arrange your flights and set off to your Au Pair adventure in Italy! Flight assistance via our recommended travel agent (optional). Support from agency right through time there. A minimum wage of 80 Euro per week. Italian simcard with some money on for emergency use. Pre-departure Manual (written by our experienced staff with the help of ex-Au Pairs), travel bag, travel document pouch, travel mirror, travel pillow, travel make-up bag, luggage tag & more!